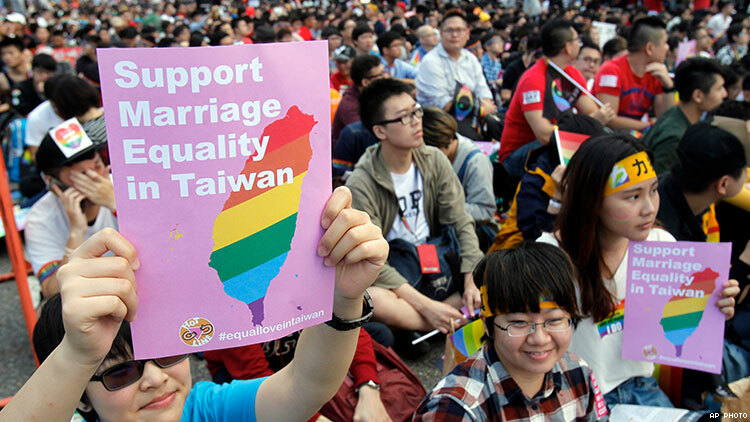 This weekend, voters turned out against marriage equality in a series of referendums that were meant to decide how Taiwan would implement a 2017 court ruling. Now, according to reports, calls to an LGBTQ helpline have risen 40% in the wake of the vote. According to Gay Star News, The Taiwan Tongzhi Hotline Association, which is the oldest and largest LGBT organization in Taiwan, have increased over the past few days, looking for support. These calls have not only come from queer people, but also parents who have queer children with 40% of the calls being specifically about referendum topics. Those topics include whether the country’s Civil Code should “restrict marriage to being between a man and a woman,” and whether or not LGBT “education” should be a part of school curriculums. While the referendum results don’t have any direct legal ramifications, as a survey of the public it could influence future legislation and impact the mental health of queer citizens. ‘Many LGBTQ+ and straight allies are disappointed at the result of the referendum,’ Sih-Ching Du, who is the director of policy advocacy at the Hotline Association according to his LinkedIn, told Gay Star News. ‘Some LGBTQ+ people feel strongly depressed or anxious. Some even feel hopeless or isolated by the society. To combat these feelings of isolation, the Hotline Association has launched “Together, Stronger” a Facebook campaign where supporters can change their Facebook profile frame. This step toward visibility is only the first in an ongoing struggle for this community.